I was doing the 5th block in Chirstmas in Italy. The house requires three curved windows. It is not like I haven’t done these before but have found putting notches into them not effective for me and I have just needled turned them with very little success in getting the ideal shape. This time I followed the technieque of makeing a yo-yo. This allowed me to get the curve which I was much happier with. I first tacked down the straight folds to provide the starting frame of the window. Then I used a tacking stitch along the area I wanted to curve then pulled it together which resulted in the curving of the fabric. 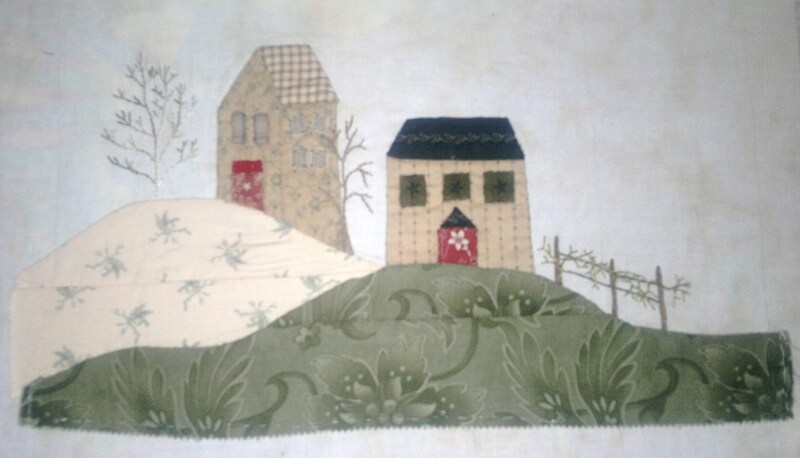 From their I stitched the window down and it was completed I lovely curved window. Wow it has been a while since I did this block, but now it is finished it is looking quiet good. The pine trees I made quiet thick as that is what I imagine they would look like. I found the windows very challenging to do as they are done in needle turning technique – so small to do yet challenging. I have been good and kept up with the purchase of the blocks and I have just picked up the 8th block – so tempted to do with santa flying up in sky but I will be good and avoid the temptation. This is the third block in Christmas In Italy. I love the fabrics which are Sentimental from Three Sisters. I still two blocks behind but will easily catch up. What I like is the fact that the lines are not exact but very rustic – I guess like the house would be like in Italy. I have seen the one being done at The Christmas Beetle and I love how we have used different colours. They should both look beautiful when finished….happy stitching. As you can see I love christmas. I went into a shop a few months ago called The Christmas Beetle. I love going there. Well, at the time I went into the shop, they were going a block of the month called Christmas in Italy. 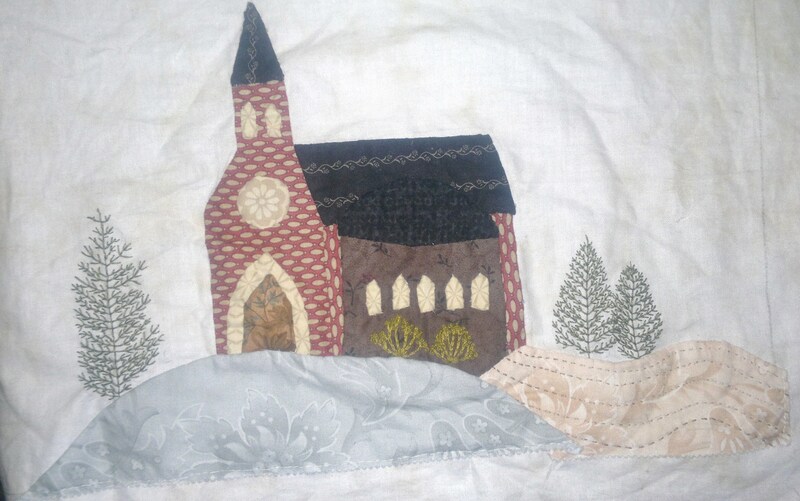 I feel in love with it and so my passion for quilting commenced. The design is by Lenna Green based on her holiday in Italy. 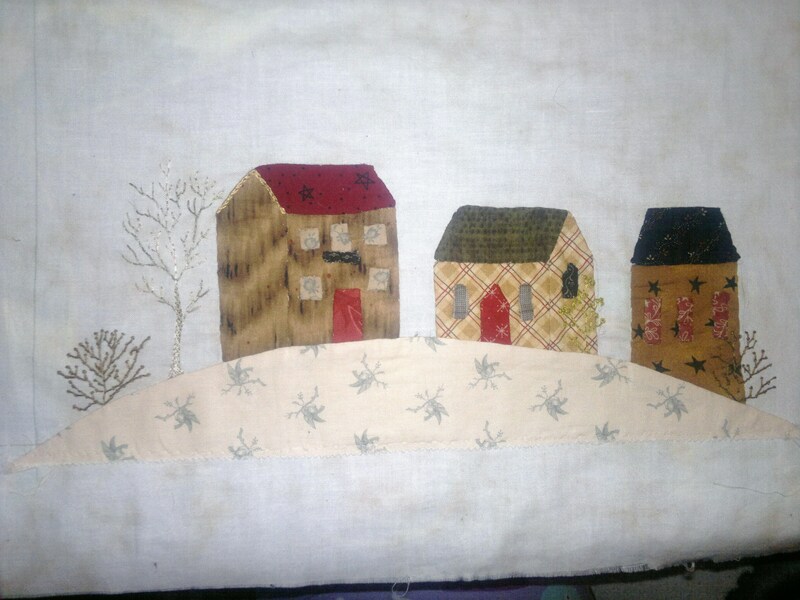 As I stitch, and cut and create each block I wish I as in Italy. I have of late been a bit behind in the block month but am catching up.